Having a clean shave will definitely boost your confidence because you know that you look clean and fresh. Have a clean and smooth shave with a quality Electric Shaver from ASDA, Amazon, Superdrug, eBay, and Argos. You can get a cheap Electric Shaver and stack discount codes on top. Choose from a wide variety of models from popular Electric Shaver brands including Philips, Braun, and Gillette. Look good with a quality grooming tool such as an electric shaver. Put on an after-shave after getting rid of undesirable facial hair and feel great. Achieve a clean, close shave all the time with the best electric shaver deals in the UK! Here at Latest Deals, our community of bargain hunters are always on the lookout for the best deals out there on electric shavers. 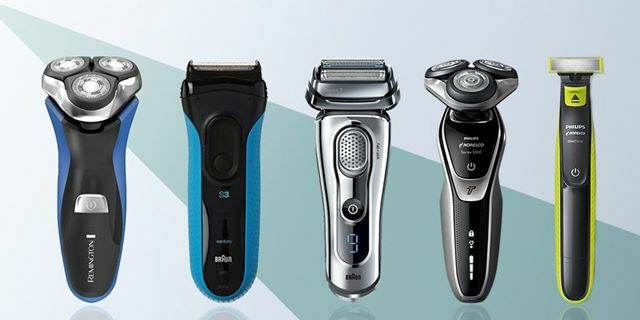 Whether you are in search for mens electric shaver or womens electric shaver, tools and accessories, the voucher codes, coupon codes, and discount codes our community has found, verified, and share online will surely help you get massive savings on your next electric shaver purchase on retailers such as Amazon, Argos, Ebay, and Boots. That does not stop there. Our money-saving experts also share the best shopping tips and tricks to help you save big on your purchases. Be updated with all of the offers on electric shavers everyday by visiting this page on a daily basis. Bookmark this page for easier access. Where Can I Find a Cheap Electric Shaver Online? Amazon. The Everything Store got it all for you, including electric shavers of all kind. Check out Amazon’s electric shavers range and get up to 50% off with their daily price cuts. Find electric shavers for men, electric shavers for women, and accessories such as chargers, replacement rotary blades, replacement foils, cleaning tools, etc. Discover major price reductions on womens electric shavers from top brands such as Remington, Peels & Seals, Hangsun, Marske, and Youke. Also, take advantage of Amazon Prime exclusive benefits like getting deeper discounts and free UK shipping. Argos. Find electric shavers at half their retail price at Argos’ wide electric shaver range. Narrow down your shaver choices by filtering your preferred usage, whether it’s wet & dry or simply for dry use. Find shavers from Argos’ very own Simple Value brand and other top brands such as Braun and Remington. Get even deeper discounts on their Clearance section. Ebay. Are there specific features you’re looking for in an electric shaver? Well, Ebay’s electric shaver listing makes it much simpler for you. Choose the features you only like, and the page will provide you with options that fall under your requirement. Check out options for cordless, low battery indicator, wet & dry use, rechargeable, and travel. Aside from men’s electric shavers, ebay also has women’s electric shavers, and electric shaver replacement parts & accessories such as blades, power charger, cord, head holder, shaver heads, foils, etc. Boots. 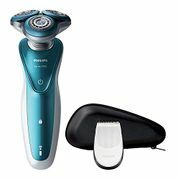 Browse through Boots’ Male Grooming Tools Category and discover electric razors from top brands such as Braun and Philips at half its price. At a limited time, get to save £15 for every Remington kit purchased. Find electric shaver deals like such at Boots, and impressive collections on clippers and trimmers, too. Owning expensive electric shavers with high-end features may sound tempting, but for the penny-pinching shoppers out there, that doesn’t sound necessary and practical. You can still choose to settle for less and get the job done without spending too much on one electric shaver. Here are the top electric shavers we have found online that do not go over £30. SweetLF 3D Rechargeable IPX7 Waterproof Electric Shaver. You can use this rechargeable electric shaver on either wet or dry surface. This features triple independent heads that smoothly follows your face, neck, and jawline. It also has a pop up trimmer attached, making it ideal for those who have moustache or sideburns. 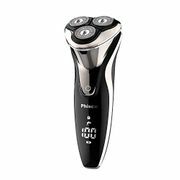 Philips Series 3000 7-in-1 Multi Grooming Kit for Beard & Hair with Nose Trimmer Attachment. Longing for the perfect facial hair trim? Have it done at the comfort of your home with Philips Multi Grooming Kit. This all-in-one trimmer comes with seven tools: two beard combs, two stubble combs, a hair comb, and a nose & ear trimmer. A must have for men who like to try out different styles. Braun Series 3 300s Rechargeable Electric Foil Shaver/Stubble Shaver for Men Face. This durable electric foil shaver features 3 pressure-sensitive shaving elements. It is designed in Germany to deliver skin comfort and efficiency. BaByliss Precision Beard Trimmer for Men. This battery-operated trimmer is heaven sent for those who maintain their moustache or beard. This features a five-position multi-length comb guide that delivers tidy and precise finish. In fact, BaByliss for Men’s products are considered as UK’s leading male grooming appliances. Do you prefer a rotary shaver or a foil shaver? Do you have thick and/or long hair and despise the idea of having to shave on a regular basis? If so, we recommend rotary shaver. This type of shavers have 3 heads with rotating cutters that allow the razor to precisely follow the contour of your face. However, if you don’t have long facial hair but would like to style it or keep it clean, foil shavers can work for you. These are made of curved metal foil that conceals the cutting blades. What’s your budget? Know that the price tags for electric shavers vary. It can go as low as £20 or high as £900. Knowing your budget can eliminate various models, allowing you to focus on the price range you’re comfortable with. Always keep in mind that sometimes you need to pay a bit of an extra to ensure quality product. Power. This really depends on where you are going to use your electric shaver most of the time. If you are a person who only uses a shaver when you’re at home, then a plug-in shaver can do for you. However, if you are the on-the-go type of person and you travel often, a rechargeable device is ideal. Take it to the gym. Take it to the office. Take it anywhere with you. That’s one of the main benefits of owning a cordless device. Wet & Dry Use. Shavers for wet & dry use are lifesavers. These devices allow clean quick shave while you are finishing your shower. Convenient and easy to use especially for those who want a close shave even though they are pressed for time.